Pollinating insects have a very obvious relationship with plants – they visit a brightly coloured flower to obtain food (nectar) and in exchange they inadvertently pick up pollen and carry it into neighbouring flowers, pollinating them in the process. It’s a mutually beneficial relationship of food for flying sexual favours. One can reasonably imagine how such a relationship might have evolved over millions of years, with plants competing against each other using flower colour, shape and scent to attract the most insects and increase seed production. In the modern age it begs the question – why have humans across all cultures evolved to like flowers? What exactly is it that makes me want to plant bulbs at home in return for nothing more than a fairly temporary pretty picture with pleasant smells? It turns out that the cause of our floral infatuation is not easily attributable to any single factor. However, as with the bumblebee, evolution is at the heart of our own love affair with flowers after all, even if not immediately obvious. Humans clearly haven’t always lived in houses cultivating gardens for pleasure. If we were to go back 4.4 million years (ish) we’d discover Ardipithecus, one of our earliest common ancestors living in Ethiopia. It is believed he was still largely tree dwelling: “Studies suggest the front teeth were regularly used for clamping and pulling, possibly reflecting a diet that included large amounts of leaves. Tooth enamel analysis suggests they ate fruit, nuts and leaves”. Where did Ardipithecus find fruit and seeds? On trees and bushes bearing flowers that have been pollinated by insects… it’s not unreasonable to think that Ardipithecus had learned to recognise that the presence of brightly coloured flowers and their scents indicated the forthcoming location of a food source. This would have given him an evolutionary advantage. Certainly at some point our ancestors had developed trichromatic colour vision enabling them to better recognise the hues of orange and red in fruit. It’s also likely that flowers and their nectar made up part of Ardipithecus’ diet. 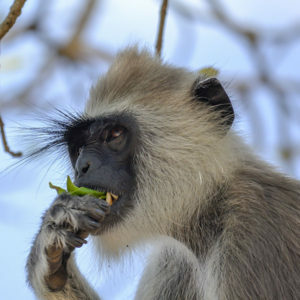 Today in the case of the Colobines of Madagascar (old world apes with whom we share a common ancestor) seeds, fruits, and flowers can represent over 50% of their diet. Flowers therefore have been an important indicator throughout human evolution of our most important resource – food – either immediate, nearby or pending. Hand in hand with bees, our ancestors would have been part of the process of flower and plant evolution – consuming seeds and helping to spread them far and wide whilst the pollinators buzzed around us and did their job high up in the canopies. Evolution and hunger have directed our preference for colour in flowers although the specifics are not clear. 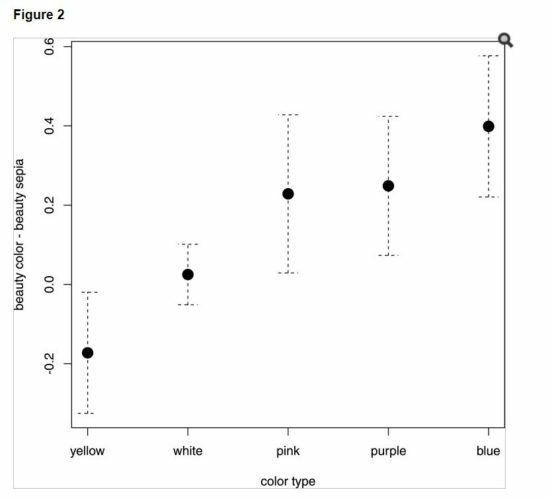 In tests conducted by a university in Prague in 2016 they found “an unequal preference for different flower colours, blue being the most and yellow / sepia the least preferred.”. The thinking is that blue most often reflects a blue sky in fresh water, which again suggests our evolutionary desire for clean drinking water. The results ring true with me, I favour blue and purple flowers over all others. In fairness ‘red’ was excluded from their test but I suspect it would have come somewhere around the area of ‘pink’ on the chart below, red is often a warning colour in nature and I think we have evolved to be aware of that. Interestingly bees can’t see red flowers by colour and consequently take longer to find them . 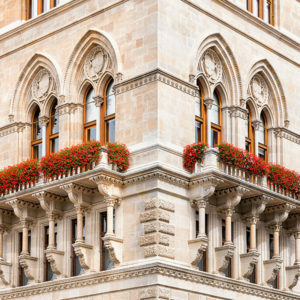 It has been speculated that brown and yellow colours are typically more naturally associated with faeces, dead vegetation and rotten fruit – all to be avoided. 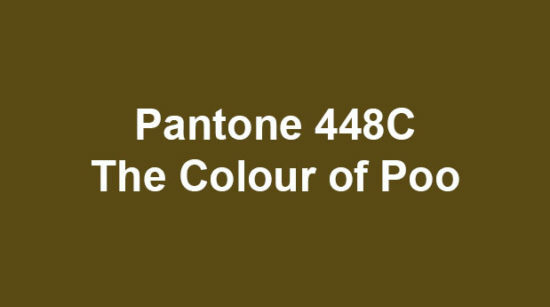 A recent study by a marketing agency called GfK Bluemoon found that of 1000 smokers they surveyed, brown (specifically pantone 448C) was their least favourite colour. It’s not a big surprise, it is after all the colour of poo. 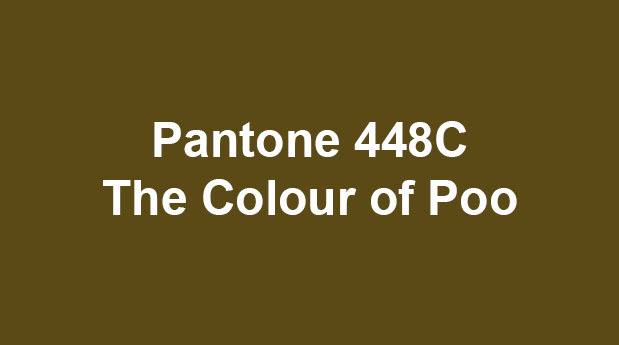 Consequently cigarette packets are all produced in the UK using this colour together with off-putting disease related photographs. 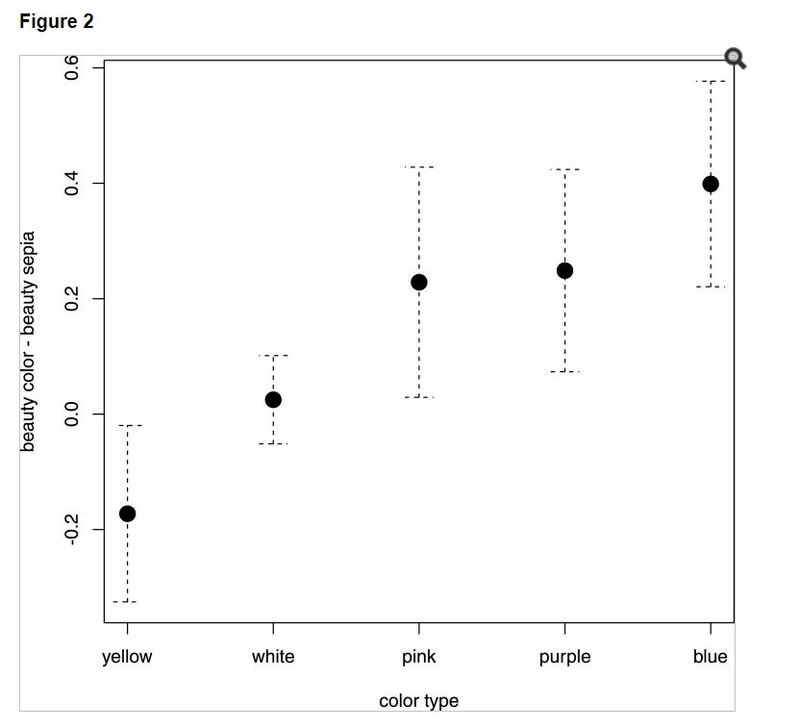 Returning to the Prague study of flower beauty the results also found that “on the overall assessment of beauty, shape was more important than color. Prototypical flowers, i.e., radially symmetrical flowers with low complexity, were rated as the most beautiful.” So if not colour then shape. There are two things the human brain likes – symmetry and simplicity in patterns. 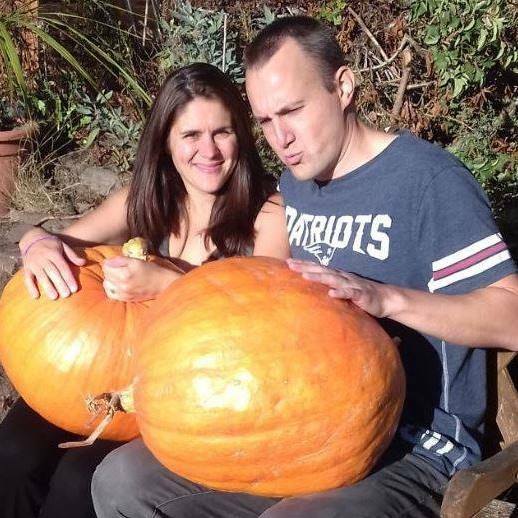 Symmetry is built into our preference for finding a human mate based upon facial symmetry. There have been many studies that prove this  and it is believed that we find facial bilateral symmetry an indicator of genetic health and quality. It’s another ancient evolutionary gift bestowed upon many creatures so millions if not billions of years old. In reality nobody’s face is ever really truly symmetrical but the nearer it is to perfection the better. 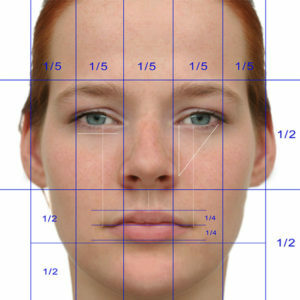 It is said that Leonardo da Vinci knew that faces are not truly symmetrical, hence the Mona Lisa looks more realistic. What it comes down to is that we’re all subconscious mathematicians making algorithmic calculations in a mathematical universe. Monty Don’s Paradise Gardens touched on this with the many references to geometric shapes and patterns within Islamic design. Designing a garden with perfect geometric lines and balance shows an appreciation of the universal principles of life itself (or god). 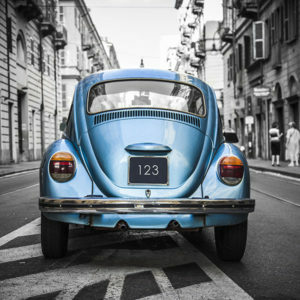 Our liking for symmetry is mirrored in man’s design of cars, buildings and gardens. Flowers are obviously symmetrical, hence we find beauty in their shape. Bilaterally symmetrical flowers reportedly contain more nectar than radially symmetrical ones and indicate richer habitats  – so food could be another factor in our love of more simple flowers. Symmetry makes an object simpler to visualise and comprehend. Simplicity enables the brain to function more quickly without having to process as much data. 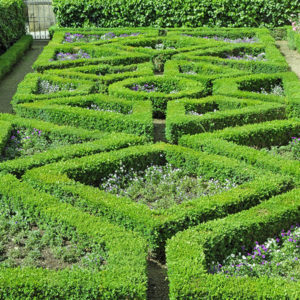 A garden filled with many flowers of a few matching shapes and sizes would be much easier for the brain to process against darker hues of green and brown foliage. This would be a more relaxing experience when compared to a contrasting environment bustling with unexpected multi-coloured moving objects (such as a high street). Being in a garden filled with simple, symmetrical flowers and patterns would reduce the stress on our senses, freeing up processing power, enabling us to relax. We would perceive this emotion as positive and associate it with the flowers. On some level, we love colourful flowers today because it has always done us good to do so, it’s as simple as that. Those ancestors who inhabited areas rich with flowers or millions of years later began to cultivate them, were more likely to live longer, breed more successfully and be healthier. We come from nature and our ancestors were once at home in the forest surrounded by low hue symmetrical patterns and simplicity, interspersed with food signalling flowers and fruit. We love flowers because they reflect all of these things. They reflect the Garden of Eden. Today I firmly believe that this is why so many of us report improved mental health through outdoor activity and relaxing in gardens (especially with bees and symmetrical butterflies). We’re really not meant to be digital slaves, always connected to a device, never relaxing, separating ourselves from the world that we were born into. We’re supposed to be in a treetop hammock feasting on berries and watching a hoverfly at work on the flowers. Until we realise this I fear we will only see an increase in mental health problems over the coming decades and slip further towards our own annihilation. OUP: Are human preferences for facial symmetry focused on signals of developmental instability? Next Article Guns and Gardening (Yes, Bear with Me).